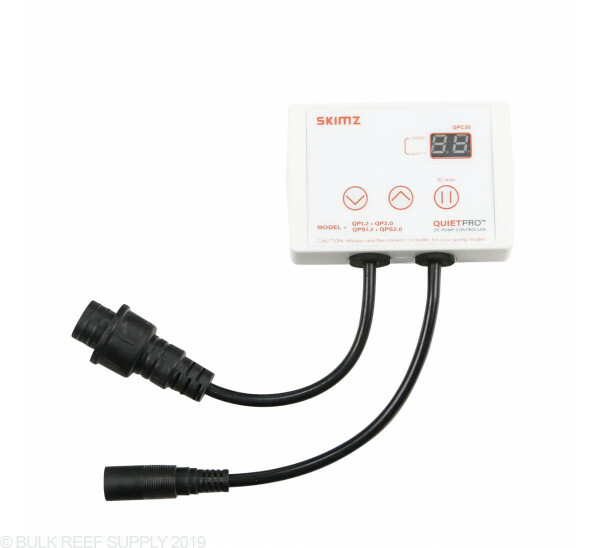 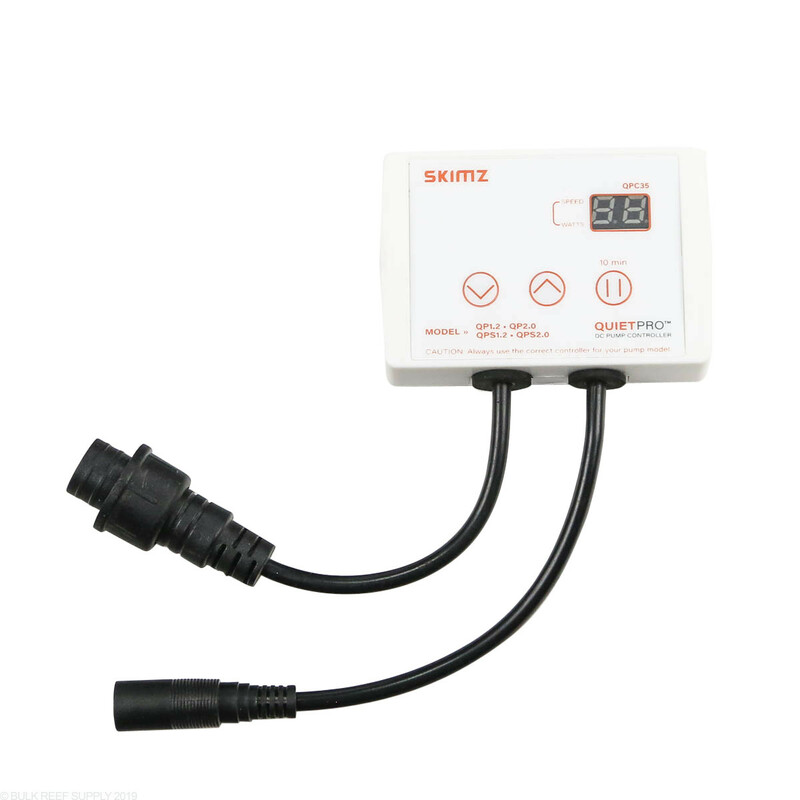 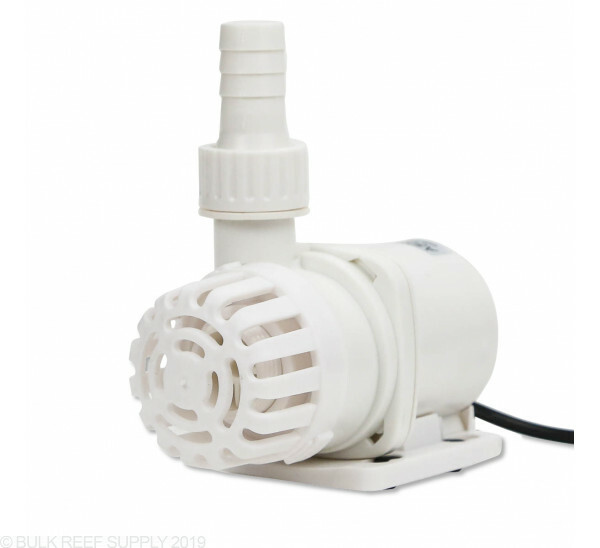 Skimz gives you control of the pump from 5%-100% through the DC pump controller making it the perfect pump for aquarium equipment ranging from small reactors, closed loop systems and even dedicated return pumps. 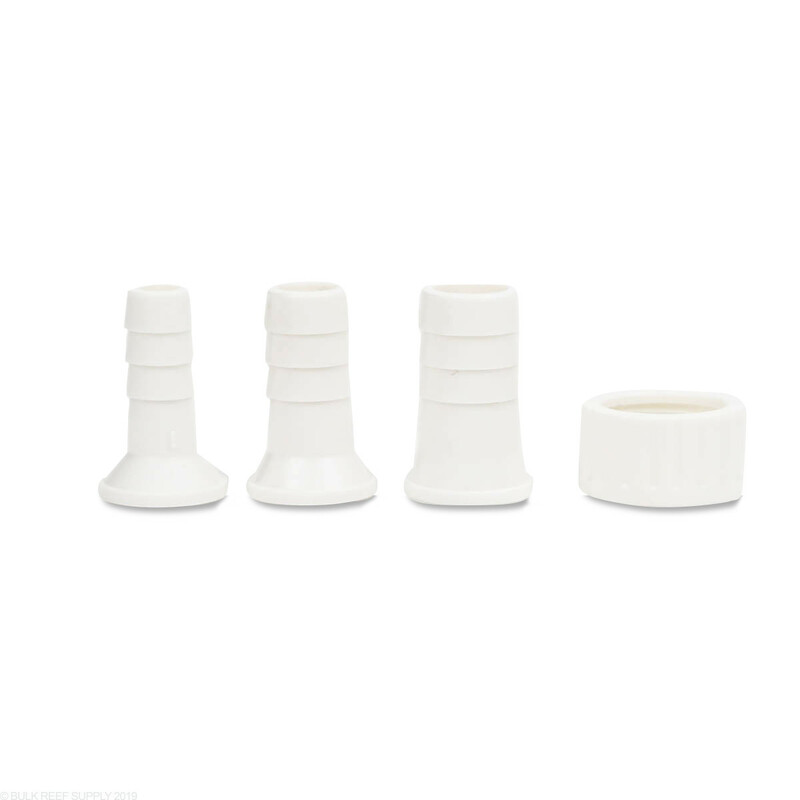 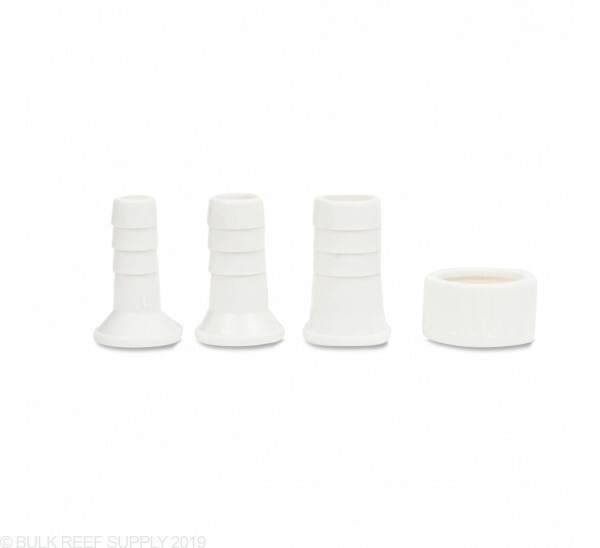 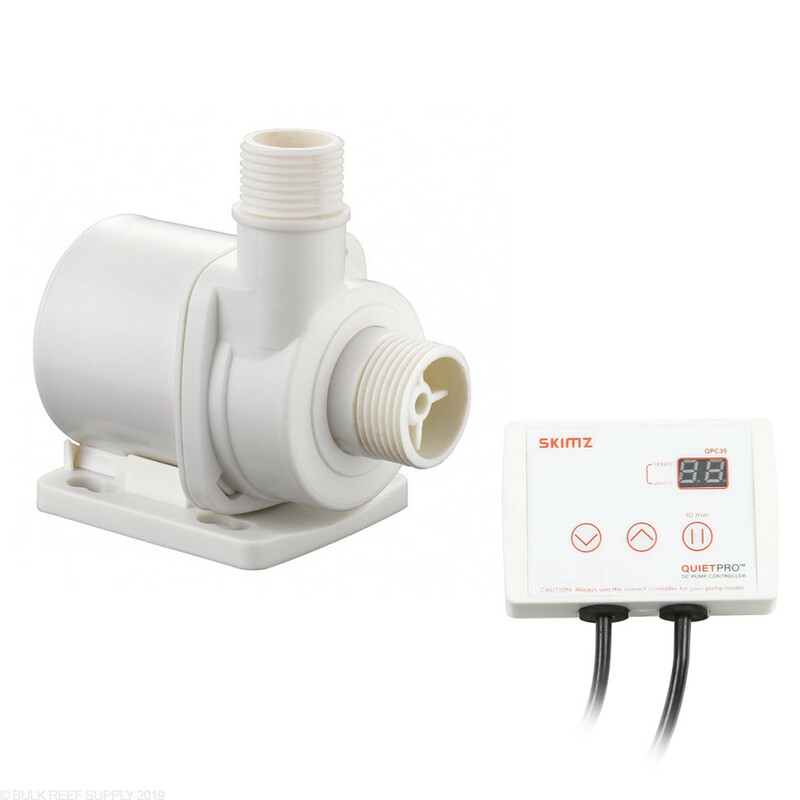 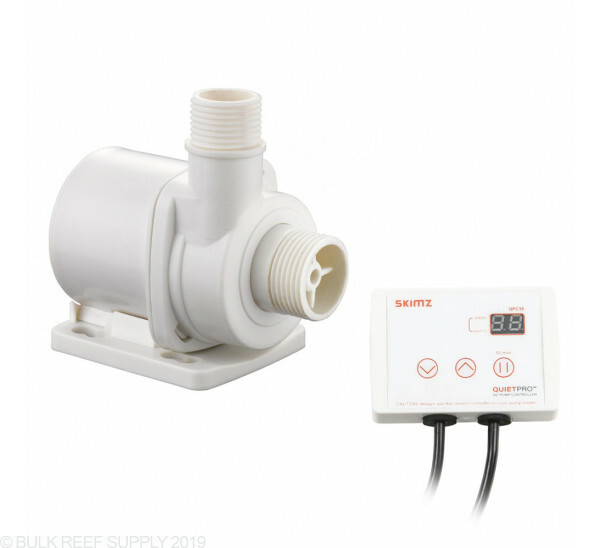 Each Skimz QuietPro Pump has a slow start feature that gently ramps the pumps flow up to the desired setting over the course of a few seconds. 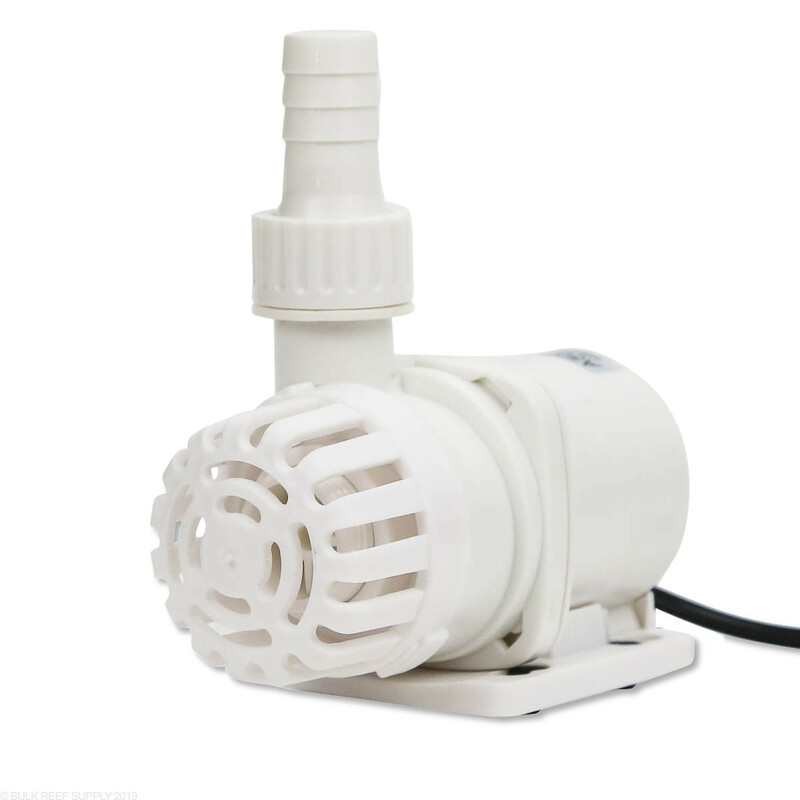 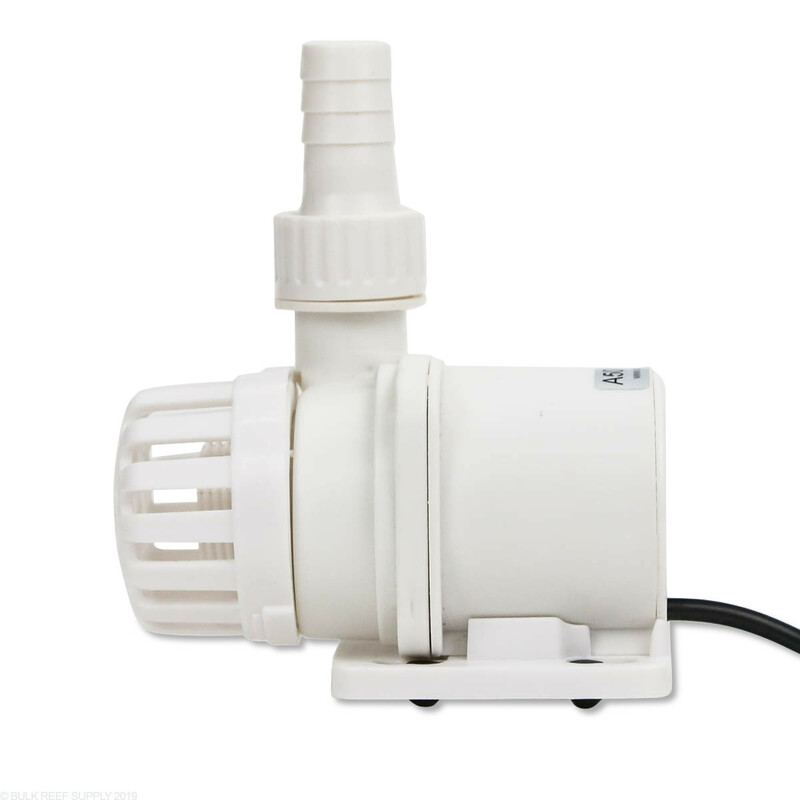 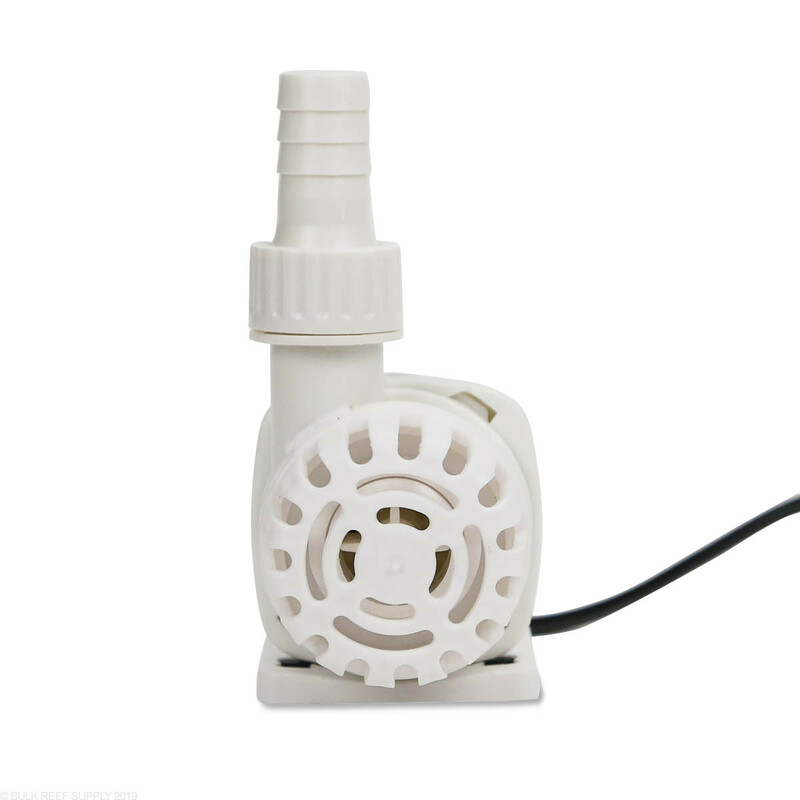 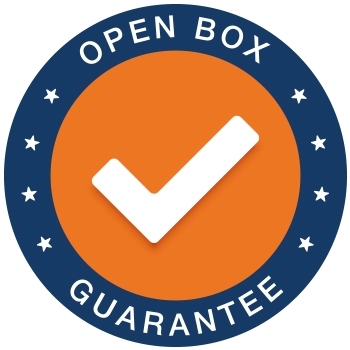 The pump will automatically shut off when the temperature either gets too hot, or too cold removing the possibility of the pump damaging itself. 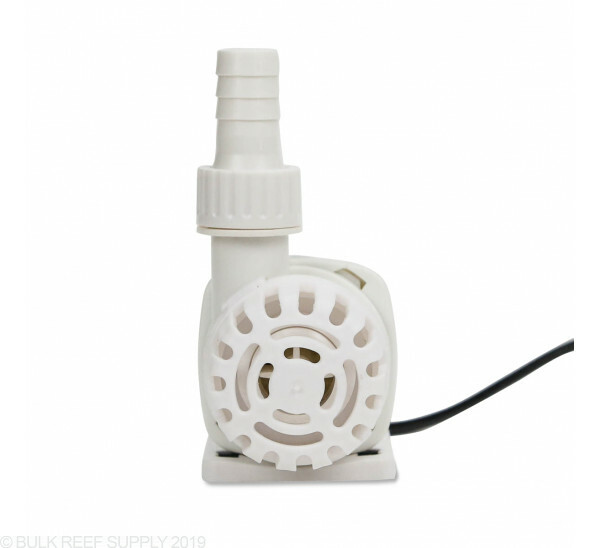 Enter or exit feed mode with a single push of a button on the controller. 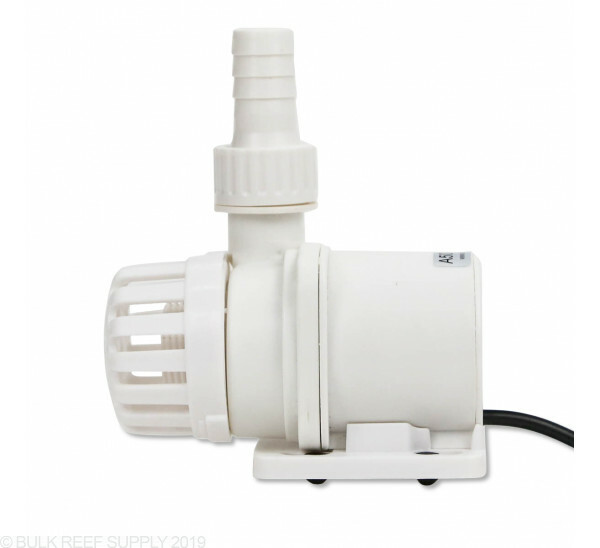 QuietPro pumps have a 10-minute feed mode and will revert to the same power settings that were being used before feed mode was engaged.